Aaron Swartz, a programmer and Internet activist who co-founded a company that would eventually grow into Reddit, committed suicide Friday in New York City, according to The Tech and Boing Boing. Swartz's attorney confirmed the news to The Tech early Saturday morning. "The tragic and heartbreaking information you received is, regrettably, true," confirmed Swartz' attorney, Elliot R. Peters of Kecker and Van Nest, in an email to The Tech. At 14, Swartz co-authored an early version of RSS. Later he started Infogami, a company that would eventually merge with Reddit. He also co-founded Demand Progress, an online activist group whose mission statement was "win progressive policy changes for ordinary people through organizing, and grassroots lobbying." Swartz was arrested in July 2011 for allegedly downloading approximately 4 million academic journals from JSTOR with the intent to distribute them for free over P2p file-sharing sites. He was charged with wire fraud, computer fraud, unlawfully obtaining information from a protected computer, and recklessly damaging a protected computer. In September 2012, Swartz appeared in court and pleaded not guilty to those charges. Just two days before Swartz's suicide, JSTOR — perhaps because of Swartz's actions — began offering free but limited access to its archives. We all flew out to San Francisco and begun working at the offices of Wired News (we were purchased by Condé Nast, a big publishing company which owns Wired, along with many other magazines). I was miserable. I couldn't stand San Francisco. I couldn't stand office life. I couldn't stand Wired. I took a long Christmas vacation. I got sick. I thought of suicide. I ran from the police. And when I got back on Monday morning, I was asked to resign. Your face falls. Perhaps you cry. You feel worthless. You wonder whether it's worth going on. Everything you think about seems bleak - the things you've done, the things you hope to do, the people around you. You want to lie in bed and keep the lights off. Depressed mood is like that, only it doesn't come for any reason and it doesn't go for any either. Go outside and get some fresh air or cuddle with a loved one and you don't feel any better, only more upset at being unable to feel the joy that everyone else seems to feel. Everything gets colored by the sadness. At best, you tell yourself that your thinking is irrational, that it is simply a mood disorder, that you should get on with your life. But sometimes that is worse. You feel as if streaks of pain are running through your head, you thrash your body, you search for some escape but find none. I'm so sorry for Aaron, and sorry about Aaron. My sincere condolences to his parents, whom I never met, but who loved their brilliant, magnificently weird son and made sure he always had chaperonage when he went abroad on his adventures. My condolences to his friends, especially Quinn and Lisa, and the ones I know and the ones I don't, and to his comrades at DemandProgress. To the world: we have all lost someone today who had more work to do, and who made the world a better place when he did it. He read to me and Ada compulsively; he read me a whole David Foster Wallace book. He read Robert Caro to me, countless articles, blog posts, snippets of books. Sometimes, he would call, just read, and hang up. He loved the Very Persistent Gappers of Frip, and the three of us read it together many times. We loved George Saunders. We loved so many things together. He loved my daughter so much it filled the room like a mist. He was transported playing with her, and she bored right into his heart. In his darkest moments, which I couldn't reach him, Ada could still touch him, even if only for a moment. And when he was in the light, my god. I couldn't keep up with either of them. I would hang back and watch them spring and play and laugh, and be so grateful for them both. We were destroyed by the investigation, and by enduring so much together in the five years of the difficult love affair of difficult people. In the end he told me he needed to get away from me. I let him go, and waited for the day he'd come back. I knew that one day we'd have a day to be together again, though probably not as lovers. Together, as something that doesn't have a word. He went on to another relationship, and I know he touched her like he did me, because that's how he touched people. I remember always thinking that he always seemed too sensitive for this world we happen to live in, and I remember him working so mightily, so heroically, to try to bend the world into a place more hospitable to people like him, which also means hospitable to people like us. 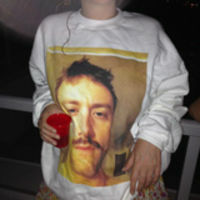 I like what the blogger Lambert Strether wrote on my Facebook page (in Aaron's memory, friend me! 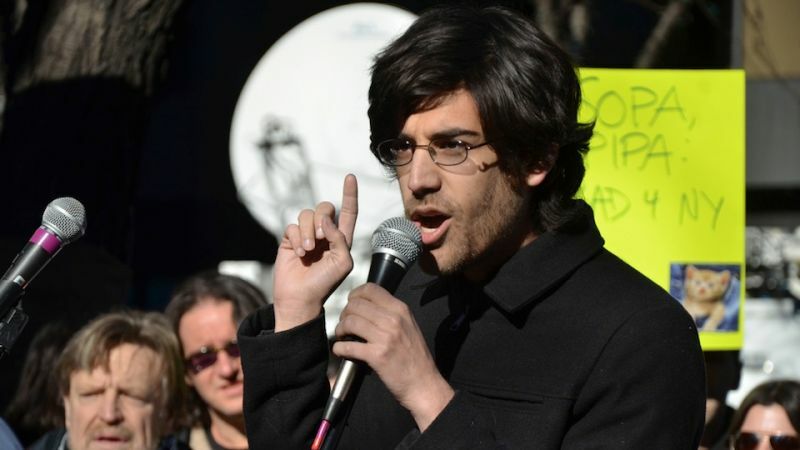 ): "Our society should be selecting for the Aaron Swartz's of this world. Instead, generous and ethical behavior, especially when combined with technical brilliance, turns out to be maladaptive, indeed lethal. If Swartz had been Wall Street's youngest investment banker, he would be alive today." Here is where we need a better sense of justice, and shame. For the outrageousness in this story is not just Aaron. It is also the absurdity of the prosecutor's behavior. From the beginning, the government worked as hard as it could to characterize what Aaron did in the most extreme and absurd way. The "property" Aaron had "stolen," we were told, was worth "millions of dollars" - with the hint, and then the suggestion, that his aim must have been to profit from his crime. But anyone who says that there is money to be made in a stash ofACADEMIC ARTICLES is either an idiot or a liar. It was clear what this was not, yet our government continued to push as if it had caught the 9/11 terrorists red-handed. Aaron's death is not simply a personal tragedy. It is the product of a criminal justice system rife with intimidation and prosecutorial overreach. Decisions made by officials in the Massachusetts U.S. Attorney's office and at MIT contributed to his death. The US Attorney's office pursued an exceptionally harsh array of charges, carrying potentially over 30 years in prison, to punish an alleged crime that had no victims. Meanwhile, unlike JSTOR, MIT refused to stand up for Aaron and its own community's most cherished principles. JSTOR also released a statement.